Don’t summarize: drive points home with highlights. That’s how you should summarize a long report. It’s also why no one is satisfied with Attorney General William Barr’s summary of Special Counsel Robert Mueller’s report. If you write, you have to write summaries. Think of a summary as a movie trailer: it gives you the general idea what happened, shows the highlights, and suggests more detail is available. In my experience, writers often share the misconception that the purpose of a summary is to summarize — that is, to deliver an overarching statement that describes a whole document. Such summaries are boring and uninformative. The Oakland A’s beat the Red Sox 7-0 in Oakland. The Red Sox now have one win and four losses, while the A’s are 4 and 3. Boston starting pitcher David Price pitched 6 innings and gave up 3 home runs as the A’s shut out the Red Sox 7-0 last night. The Red Sox are supposed to have the best starting pitchers in the game; instead, in five games, those pitchers have given up home runs, lasted only a few innings, and generally stunk. Their first two Red Sox hitters, Mookie Betts and Andrew Benintendi, were hitless and have generally lacked punch. This team is off to the worst start in decades. Someone else (like an A’s fan, or Sox manager Alex Cora) would write a different summary. And that’s the point. When we summarize, we choose which facts to include, not just a bland description of what happened. This book talks about customer service chatbots, which it calls virtual agents. It’s based on the concept of intent: the virtual agent has to figure out what the customer wants. Virtual agents are good for customer service, not yet ready for sales, and work well with humans in many contexts. There are problems with virtual agents on conversational platforms, challenges getting them approved, and hurdles to connecting them corporate systems. Have you ever wished that every company you interacted with could just know what you wanted and go get it for you? That when you picked up the phone or opened a chat window that the company would use what it knew about you to anticipate your needs? I hear you saying “Sure, but that’s marketing copy.” Of course it is. All summaries are marketing copy. They sell you on the idea of believing in the content that follows. Notice the detail. 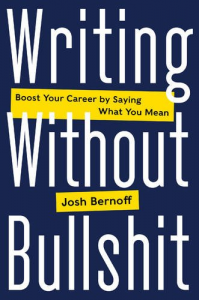 This book is not about TGI Fridays or Butterball. It is not about Nordea handling 20,000 conversations a month. But those details are convincing. They make it much more likely that you’ll believe in virtual agents, even if you don’t read the book. William Barr and his staff read a report that was nearly 400 pages long. Then he wrote a “summary” letter to Congress. (He’s backed off from calling it a summary, but that’s how he originally described it.) 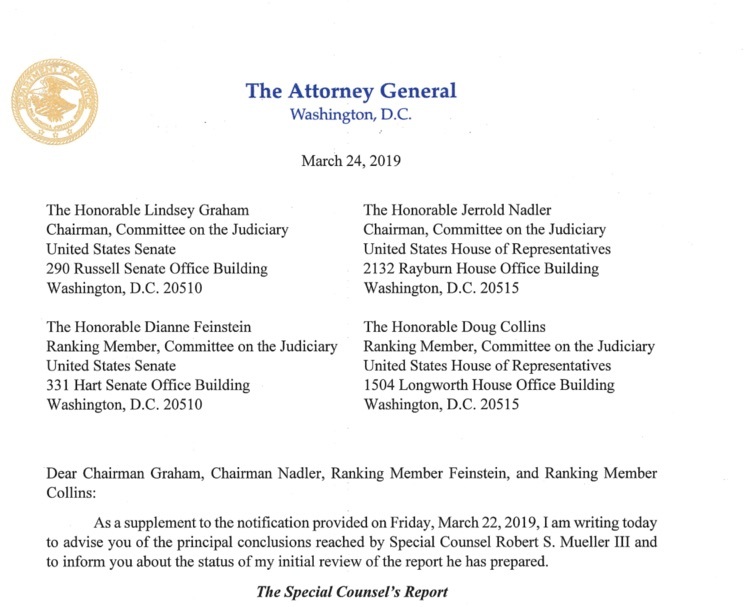 What did the Barr summary of Robert Mueller’s report say? Here’s the substantive part of it. To summarize this summary: Mueller’s report says the campaign did not collude with Russia and neither proves nor disproves whether President Trump obstructed justice. This is like the headline about the Red Sox losing 7-0, or the book talking about virtual agents. It is not inaccurate. But it is missing something. We expect our summaries to tell us details, because those details are what matter. Robert Mueller issued 2,800 subpoenas and interviewed 500 witnesses. What did he find? What did the members of the campaign staff do? What did they not do? What went into the obstruction finding, and why is the result inconclusive. What happened? From the thousands of summaries of events and reports that we’ve all read in journalists’ articles, marketing pages, and documents of all kinds, we have all learned to expect details. We want to know not just top line conclusions, but highlights of the arguments that support them. Once the Mueller report comes to light (and it will), all manner of people will attempt to summarize it. Their summaries will all be different. But whoever they are, they’ll hit highlights and we’ll learn things from the details they choose to include. Had a chuckle at “most trusted turkey advisors.” As if turkeys needed advising. Come to think of it, maybe they can advise the bird-brains who currently run the Justice Department. The job of that copy is to get your attention. It worked. Thanks for showing how crucial details make a “summary” more satisfying. I will apply that insight in future compositions. Mortifying. A consequence of sleep deprivation this time.